No solution was found between the union of aircraft mechanics and the state negotiator last night. Meetings continued until 4 am. The Prime Minister says that a legislation to stop the strike is out of the question. Another meeting has not been called yet A flight to Glasgow leaving at 7:35 and flights to Paris, Berlin and Amsterdam at 7:40 this morning have all been cancelled. A flight to London at 7:45 has also been cancelled as well as flights to Birmingham and Ósló at 7:50. A plane coming in from New York at 6:15 was canceled but another Icelandair from JFK airport in New York is on schedule. Flights from Washington and Chicago were cancelled also this morning. The strike began yesterday morning and numerous flights have been cancelled to and from Iceland. Icelandair's phonelines went down for a while yesterday with thousands of passengers calling in and complaints rained on the company's social media. Icelandair have been trying to find solutions by adding flights and sending passengers to hotels. 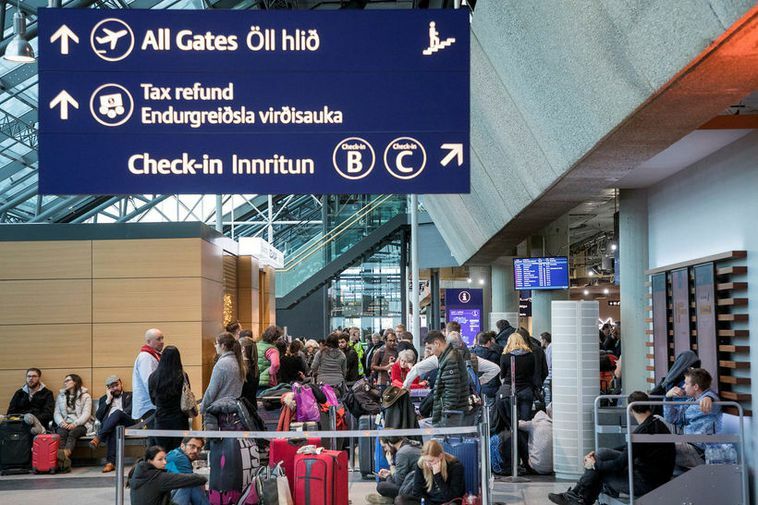 They are deterring people from taking a connecting flight at Keflavik International Airport and finding another connection instead. On their website they apologize for the situation and say they are doing everything they can to answer everyone. New flight schedules are posted up on their website as soon as they are made. They also ask passengers to refrain from going to the airport unless their flight has been confirmed. The strike could affect up to 10 thousand passengers daily. Prime Minister Katrín Jabobsdóttir has said that a government legislation to put a stop to the strike is out of the question and hopes that a solution will be found as soon as possible. Flights FI542 and FI543 to and from Paris Charles de Gaulle have been canceled. Passengers going to/from Iceland will be travelling through Paris Orly.